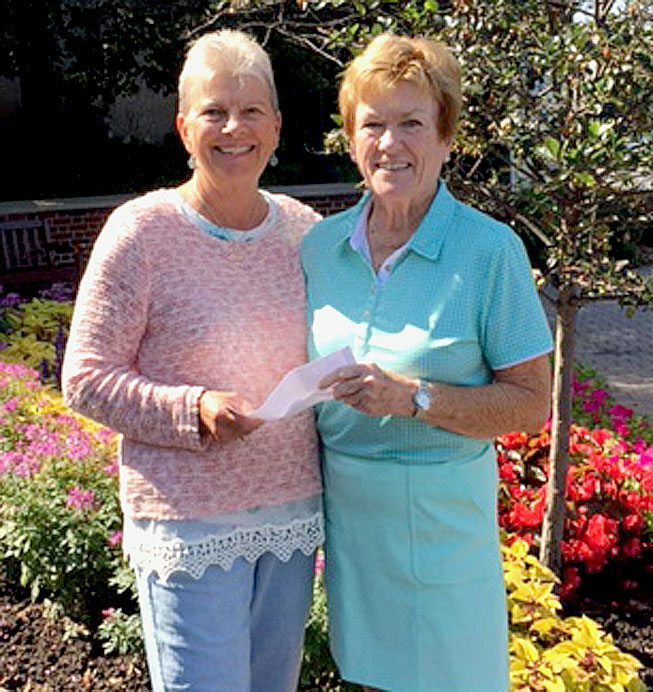 Submitted photo Char Dannheim passes a $1000 check to Sheila Doran, Minnesota Women’s Golf Association Scholarship fund Director. MWGA scholarships support fivewomen each year, $3,000 per year for four years of college. We would like to thank the following sponsors and the 64 women who participated in the New Ulm Ladies Invitational who helped raise money for the Minnesota Women’s Golf Association scholarship fund. Beacon – Leather Purse, Jensen Motors – 1 doz. Golf balls.